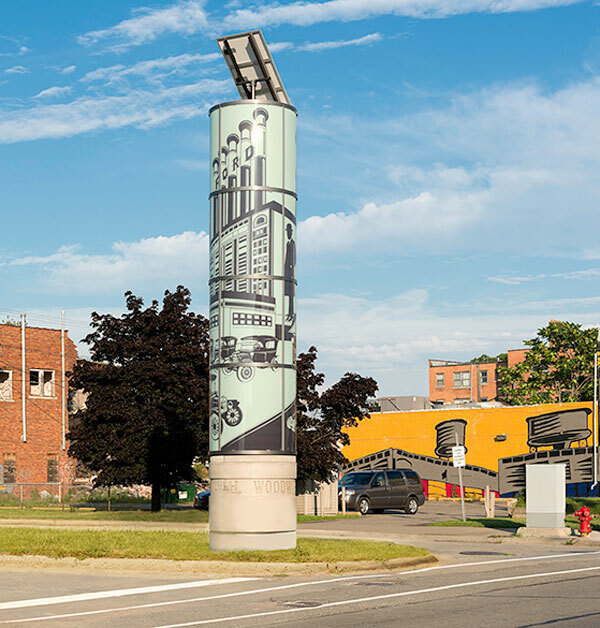 Somewhere between environmental graphics and architecture lie Detroit’s Woodward Avenue Tributes, conceived by New York-based environmental graphic design firm Calori & Vanden-Eynden (C&VE). Landmarks during the day and beacons of identity at night, the tributes are a source of visual distinctiveness and civic pride, helping to rebuild the spirit of a city broken by recession and the implosion of the automobile industry, now focused on renewal. C&VE was asked by the Woodward Avenue Action Association (WA3) to design a wayfinding sign system for Woodward Avenue to promote its many cultural and historic sites. Extending twenty-six miles from Detroit to Pontiac, the avenue, which is designated a National Scenic Byway and an All American Road, connects eleven municipalities along its span. Visiting the area, the C&VE principals observed that three or four of the municipalities already had urban signage and wayfinding programs with several more anticipated. They felt that to interject new signs into this already crowded scenario would just create a messy mix. And besides, the funding wasn’t actually available for an entirely new directional program of such magnitude. “This project needs a bigger idea,” the principals thought, and they changed the program. 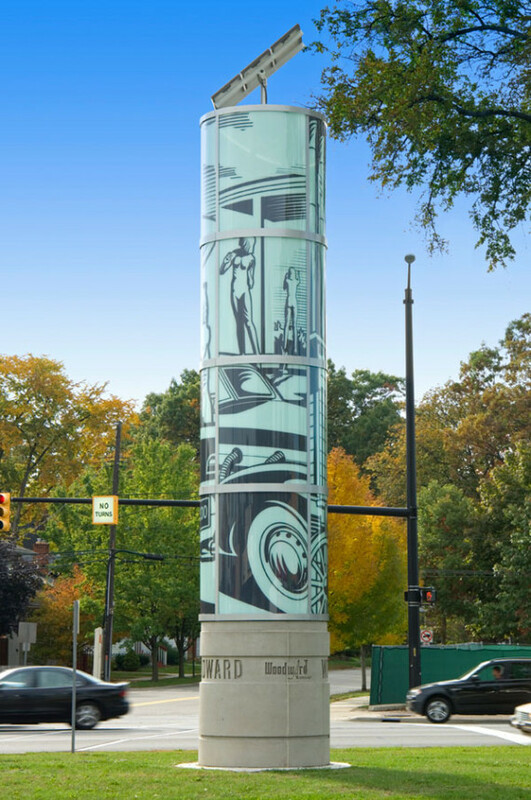 In lieu of signs, they proposed a series of thirty-foot-tall, themed, illuminated towers that would tell the story of the automotive industry, music, civil rights, art and culture, labor movements, and more along Woodward Avenue. Each tower would signify a given area or topic—not quite placemaking, but defining. They would all be black and white and non-commercial—no logos allowed. 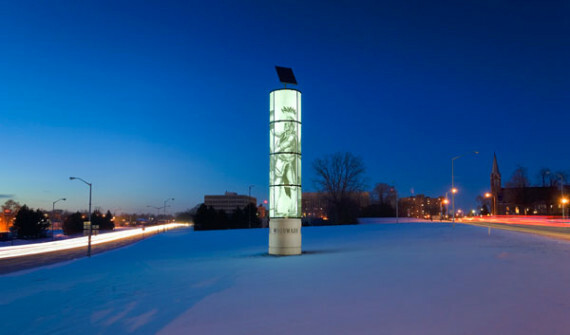 C&VE would create one of the towers—for Pontiac—and local artists would be commissioned to create the others, the ideas for which would be generated through community discussions. Lighting and plantings would be handled by other designers. With funding from the Federal Highway Administration’s Scenic Byways program, the first tribute, installed in Ferndale in 2008 a few blocks north of the intersection of Woodward Avenue and Nine Mile Road, depicts cultural and historical sites and institutions including Cranbrook Academy, the original Ford Factory, and the Detroit Zoo. Subsequently, Pontiac, Highland Park, and Royal Oak were installed. Riding an enthusiastic wave of “I want one of those towers in my area”support, the WA3 is likely to begin raising matching funds through crowdsourcing next spring to commission at least three more towers, which cost approximately $150K each. One of the towers is proposed to honor Martin Luther King, Jr., who gave his “I Have a Dream” speech in Detroit before he delivered it in Washington, DC. When completed, up to one dozen tributes will graphically tell the stories of this renowned avenue in a seminal American city. 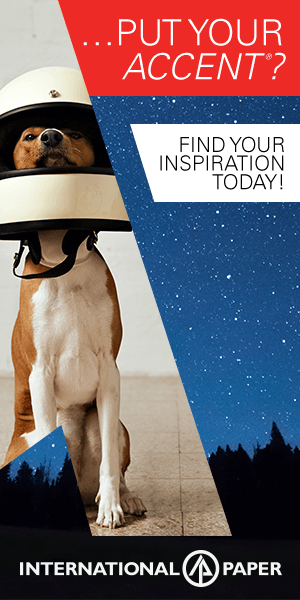 The New York-based firm is now celebrating its 30th anniversary. Notable work includes projects for Amtrak Acela, Washington DC’s pedestrian way finding system, The Rock and Roll Hall of Fame and Museum (in partnership with Alexander Isley) and New York City’s Second Avenue Subway which is under construction. Principals Chris Calori and David Vanden-Eynden are Fellows of the Society for Environmental Graphic Design.